Innovation Quarter’s downtown location makes it easily accessible from Interstate 40, Business 40 and U.S. 52. After Clemmons, exit left on Business 40, Exit 188 and follow Business 40 for approximately nine miles. Take Exit 5D, Old Salem, and veer left onto Main Street. Follow Main Street north several blocks, turning right onto Fifth Street, then left on Research Parkway. 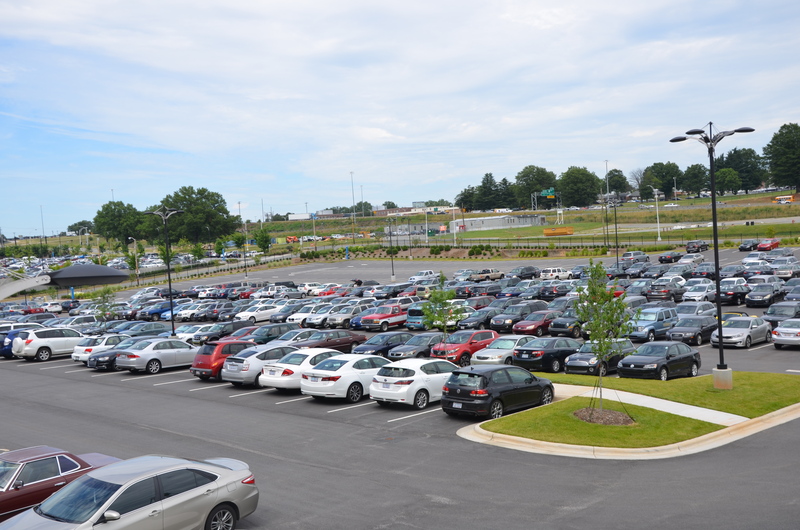 You may park in our parking lot on the left by pressing the intercom button and telling the security guard you are visiting Forsyth Tech. Continue up the ramp or stairs into 525@Vine. Turn left and enter the doors near the 525@Vine sign. Take the stairs or elevator to the second floor. Forsyth Tech Small Business Center will to the left of the main doors and security guard station. At the Interstate 40/Business 40 split in Greensboro, keep right and follow Business 40 for approximately 15 miles. Entering Winston-Salem, take Exit 5D, Main Street. Follow Main Street north several blocks, turning right onto Fifth Street, then left on Research Parkway. You may park in our parking lot on the left by pressing the intercom button and telling the security guard you are visiting Forsyth Tech. Continue up the ramp or stairs into 525@Vine. Turn left and enter the doors near the 525@Vine sign. Take the stairs or elevator to the second floor. Forsyth Tech Small Business Center will to the left of the main doors and security guard station. Take the Martin Luther King Exit, then Research Parkway. 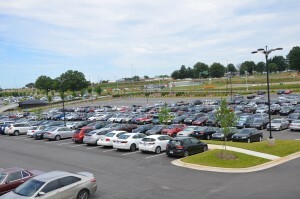 As you approach the stoplight at Fifth Street, you may park in our parking lot on the right by pressing the intercom button and telling the security guard you are visiting Forsyth Tech. Continue up the ramp or stairs into 525@Vine. Turn left and enter the doors near the 525@Vine sign. Take the stairs or elevator to the second floor. Forsyth Tech Small Business Center will to the left of the main doors and security guard station. After Parking Continue up the ramp or stairs into 525@Vine. Turn left and enter the doors near the 525@Vine sign. Take the stairs or elevator to the second floor. Forsyth Tech Small Business Center will to the left of the main doors and security guard station.